Through the long, complicated development of medicine we have made the occasional happy accident. Coke and Pepsi are two very good examples as they were originally meant to be digestive aids and were invented for that specific reason only to later become a sweet treat. But way before there were soft drinks and aspirin there was something a with a little more kick. Mead is wine made from fermenting water, honey, and various other ingredients. It can be made sweet like a dessert wine or be on the crisp side. 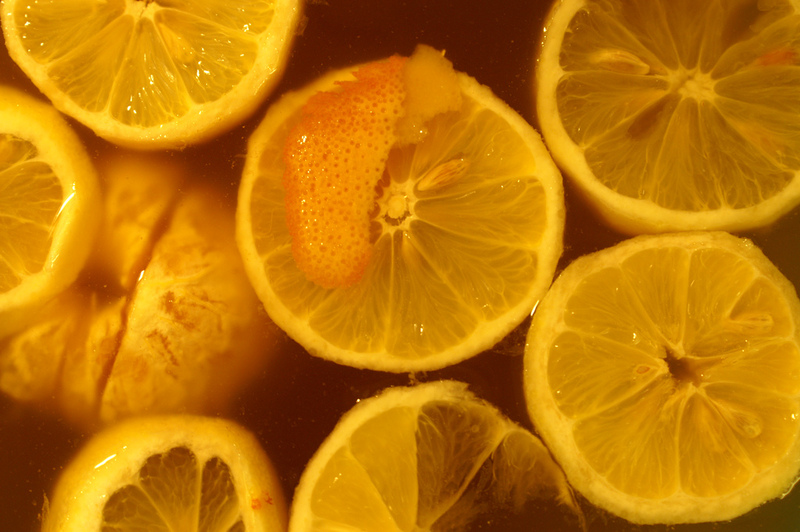 Mead may include medicinal herbs and spices or fruit to add flavor and health benefits. There are currently two different kinds of mead bubbling away on the counter in my house. The anticipation is killing me, but I know it will be worth the wait once finished. This is my first attempt at mead making so the process has been admittedly one of discovery. It has however been surprisingly easy to do and I suggest giving it a try sometime yourself. Mead can be made with very few ingredients and little equipment and will have you on the edge of your seat for quite some time. Brewing mead is an adventure all on it’s own. If you are interested in brewing, you will need a few key items and ingredients to get started. These things can be collected a piece at a time over a few months so you don’t break the bank in the process. Over time you will build a respectable brew set up and be turning out batches of your favorite mead variations on a consistent basis. Find your groove with this process and you will hopefully get the satisfaction and therapy out of the process you are looking for. This is a list of equipment needed for the brewing process of mead. You might want additional items for bottling or storing the final product. These items can be obtained at a local brewers supply store or ordered online. Personally, I save bottles from beer and wine (non-screw top) and sterilize them before reuse. Doing this saves money and is better for the planet. Large pot – This pot should be large enough to hold several gallons of water and should be easily sterilized. Stainless steel or ceramic-coated steel work the best for this. Food grade bucket w/lid – This is usually for primary fermentation although if you get one with a spout on the bottom they are also useful for bottling. Air lock and bung – Bungs are made of rubber and fit into either the top of the carboy or hole in your bucket lid. The air lock then fits down into the hole in the middle of the bung. Food thermometer – This will allow you to track the temperature of your liquid before adding the yeast. If the liquid is too hot it will kill the little critters. Siphon hose – Vinyl tubing about 3-4 feet long will work well for this. You can buy Siphons made for the job that have special tips designed for the task. This item can once again be found at a brewers supply store or online. Stirring spoon – You might already have something you can use for this in your kitchen. These are the most basic ingredients you will need to get started. You might want to consult a recipe if you would like to make a specific type of mead. Honey – The amount of honey added will determine your final alcohol content/sweetness. Water – The cleaner the water the better tasting the mead will be. If you live somewhere that has chlorinated water you might choose to buy some purified or spring water. Yeast – There are many types of special brewers yeast. These are available in many grocery stores and brewery supply stores or online. Some success can be had with regular bread yeast (not quick rise) and it is what was used in the mead currently bubbling away happily in my house. Although you do not need to add spices or herbs to your mead, adding a little flavor and perhaps even health benefits to your brew could be fun. Once you have all of your equipment and basic ingredients you can decide what type of direction to take your mead. Below is a list of traditional styles or variations on this ancient beverage. Metheglin – A basic mead that can be either dry or on the sweet side depending on honey added. This mead has various herbs and spices added. There are endless variations of the herbs and spices that can be used for this so you will once again want to follow your taste or a recipe. Commonly though you may find dried orange peel, rose petals or even chile peppers. Cyser – This variation is part apple cider and part honey wort (the liquid you have before you start fermentation). This particular variety goes back to biblical times and can carry quite a punch due to the high alcohol content it could possible yield. Melomel – A fruity version of mead this can be made using just about any type of fruit. Some popular flavors are Strawberry, Apricot or even tropical fruit such as Pineapple or Mango. The fruit can sometimes be added whole or as a purée. Pyment – First cousin of wine, this mead is made using grape juice and honey wort. It is a typically a light and delicate brew that features the grape flavorings primarily. Braggot – You can thank this brew for what we now call Ale. Fermented with both honey wort and malted barley this is a hearty and face warming beverage. Well, now that you have some basic information you can go out and try some mead. Start by looking at the local stores and bars to see if any of them carry it. Try as many different kinds from as many different meaderies as you can find. This will give you a starting point and hopefully a better understanding of what you are getting into. Keep an open mind and don’t be afraid to ask around. Chances are you know at least one mead-head with an over abundance of information that they are dying to share. Heck you might even end up with a brewing partner. Here are some brewed up events currently listed through Brown Paper Ticket! Saturday, February 1st | 2014 Belgianfest presented by the Washington Beer Commission – Seattle, Washington The Washington Beer Commission is proud to present the 5th Annual Belgianfest. Featuring a selection of Belgian style beers from 40 Washington breweries.This year’s event will be held at Bell Harbor International Conference Center in Seattle. There will be two sessions. Saturday, February 8th – Saturday, May 31st | BrewTorial: Beer Brewing Workshop + Tasting – Brooklyn, New York Ever wondered how beer is made? Want to make your own beer? Well then come and brew a beer with BrewHeister in Brooklyn! Sunday, February 9th | Homebrewing for Beginners – Kansas City, Missouri The class is on a Sunday, beginning at 3 PM. Attendees will learn the critical part of boiling, adding hops, chilling, sanitizing, and pitching yeast. Thursday, February 13th | British-Style Beers & Cheeses with Magnolia – San Francisco, California This event takes a journey to England, and pairs five British-style beers from Magnolia with five British-style domestic cheeses. Since their inception, Magnolia has been producing crackerjack beers with a healthy nod to traditional English styles. The producers have also searched far and wide to find a selection of domestic cheeses that pair well with these sessionable brews. Tags: Beer, home brewing, Mead, Washington Beer Commission, wine.